Parks serve as a reflection of how a community or neighborhood regards itself and become objects of community pride. Parks Make Life Better! 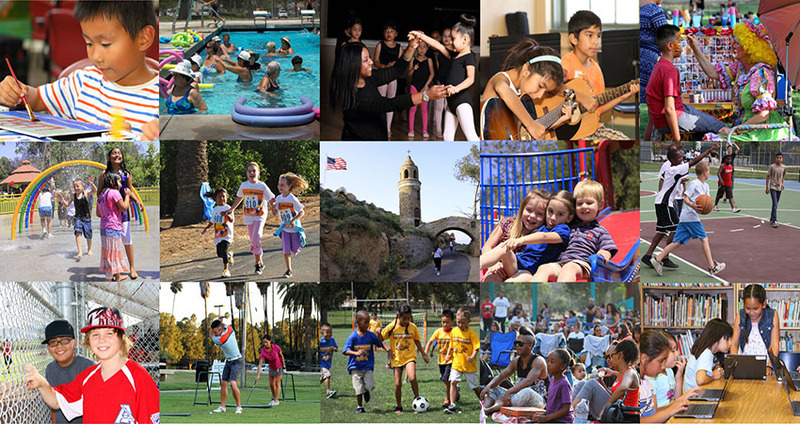 Our goal is to meet the recreational needs for City of Riverside. With a growing population of over 300,000 residents, almost 3000 acres of park land and over 300,000 SF of recreational buildings the demand for renovating deteriorating park infrastructure and for constructing new recreation facilities is an ongoing challenge with existing resources. Parks enhance the quality of life for City residents in numerous ways. Green spaces, healthy trees and plant life soften urban development and add visual enhancements to a city. Park facilities enable citizens to become active and engaged in a variety of recreation activities and outdoor pursuits from senior citizen fitness classes to youth soccer. Recreational programs provide a focus for youth activities, including juvenile diversion programs. Community centers can serve as focal points for senior citizen and community activities, reinforcing cohesiveness in a community and attracting major events.